It’s been raining all morning, and now the thunder has taken a front show. My dog won’t leave my side even though there are four other people in the house he can go to. 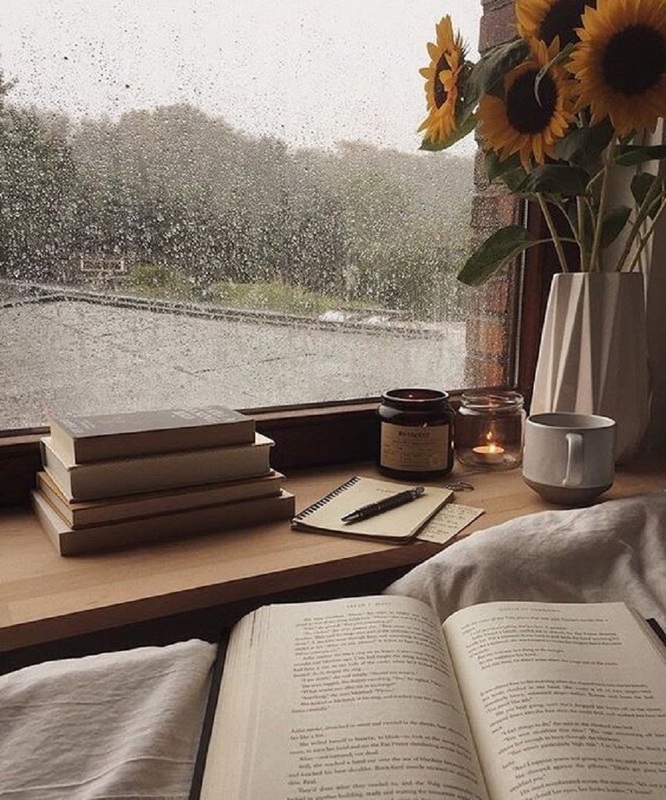 It’s been raining all morning, and I go to the window to watch the raindrops hit the ground. Plop. Plop. Plop. I wonder if I can run between them—dodging them like a highly skilled ninja warrior. After all, as a mother I have super powers. It’s been raining all morning and thoughts of my daughter enter my mind. She’s moved back to Michigan to try life as an independent, young lady—it scares me. Will she become so independent that she won’t need me anymore? Will she become so independent that she will never want to come back home? Will she become so independent that I lose the connection we’ve built up until this point? If I’m not her mother, who am I? Independence: What you teach your children to become, but what you secretly wish they won’t want from you. My dog keeps pushing his nose into my hand, making it hard to type. He needs me to comfort him, and I sit here wishing I could keep all my children this close to me. I don’t want to let them go. Confession—my daughter is 25. She’s educated, strong-willed, compassionate, and a hard worker. I’ve been training her for 25 years to be a leader. So why am I having such a hard time letting go? The phone rings. It’s her and she’s driving back from a meeting with work. It’s her birthday and I tell her how I wish she was with me. She describes a group of homeless people she just witnessed at the end of the freeway exit. One in a wheel chair with no legs. One standing next to him. Another close by. Different races, but gathered as a family. The man in the wheelchair takes a dollar out of his bucket and gives it to the man standing next to him. The man standing bends over to hug him. The light turns green and my daughter tells me she only has a ten dollar bill in her wallet. I always tell her to keep a twenty in cash on her. She makes a loop to go back around the freeway to find them at the corner, and I can hear her yell out the window, “Excuse me.” The men come near the car and she gives them the ten dollar bill and I can hear them asking her what her name is. She tells them and they respond, “God bless you.” She tells them she loves them and drives off. I start to cry. I raised her to be strong and independent. But she’s more than that. She believes in humanity and love. She believes in giving and God. And at that moment I am confident in her ability to make it on her own. It’s been raining all morning, and my tears are mirroring the skies above. My work as a mother is not over, as I know my tears will continue to fall in pain and joy—in fear and triumph. But for now, I sit watching the raindrops. Maysoon is an adjunct professor of public speaking at Murray State University, as well as Muslimgirl.com's Managing Editor. Her hobbies include embarrassing her four children and trying to save the world by 5 o'clock.